This Arctic Trail throw blanket is made of durable polyester. It is snuggly, soft, and warm. Great oversized at 50 inches x 70 inches. 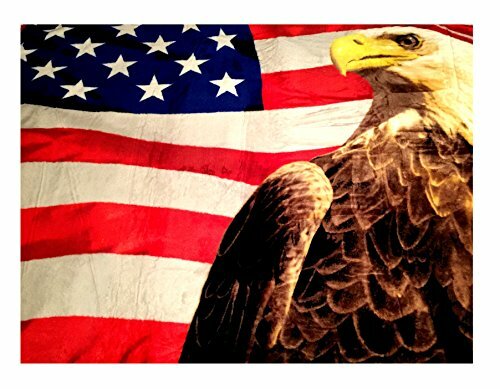 Features the national bird of the United States of America, a bald eagle with the American flag in bright, bold colors. Is machine washable in cold water on gentle cycle. Tumble dry low.